LONDON (Reuters) – Money market investors are now pricing in a roughly 90 percent chance that the European Central Bank will raise interest rates in July 2019, following hawkish comments from the bank’s chief economist on Wednesday. 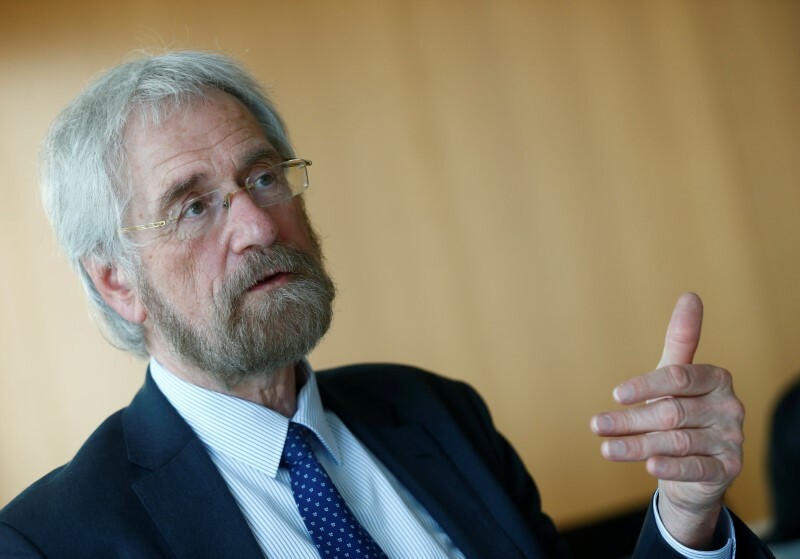 The ECB is increasingly confident that inflation is rising back to its target and will next week debate whether to gradually unwind bond purchases, chief economist Peter Praet said. Euro zone money markets are also pricing in a 70 percent chance of an ECB rate hike in June 2019, up from 50 percent earlier this week. This is a change from last week, when investors had scaled back tightening expectations on concerns over an Italian political crisis, and a hike was only being priced in for October 2019.